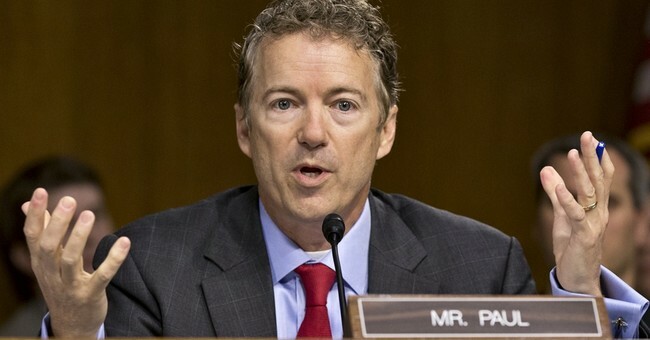 Nearly a month ago, the Senate voted down an amendment offered by Republican Senator Rand Paul to strip Egypt of its $1.5 billion per year in foreign aid after the government was overthrown by the military. The amendment was rejected 86-13 in the Senate but now, a new Rasmussen Report shows just 18 percent of Americans support the continuation of aid to Egypt. As the death toll continues to rise in Egypt, most voters don’t think the United States should continue to provide military and financial aid to the country. Belief among U.S. voters that Egypt will become a peaceful and democratic nation in the near future has diminished since the Arab Spring in 2011. Just 18% of Likely U.S. Voters believe the United States should continue providing military and financial aid to Egypt, according to a new Rasmussen Reports national telephone survey. Fifty-four percent (54%) say the United States should not continue this aid. Another 27% are undecided. Despite voting against the Paul amendment, Senators McCain and Graham are now calling on the Obama administration to suspend aid to Egypt (thanks for joining the party, guys). Sens. John McCain of Arizona and Lindsey Graham of South Carolina said bloodshed between the ruling Egyptian military and supporters of ousted President Mohammed Morsi have made it difficult for the nation to repair its fractured state. “The interim civilian government and security forces — backed up, unfortunately, by the military — are taking Egypt down a dark path, one that the United States cannot and should not travel with them,” they said in a joint statement. As I wrote earlier, the violence in Egypt continues to rage as churches get burned to the ground, radical Muslims slaughter Christians and as the Egyptian military tries to get things under control.